I have seen some blog post with ideas for holiday gift for specific types of people : golfers, cooks, book lovers, etc. I thought I would share some gift ideas for "geeky teachers". There are a lot of ways we can share our geekiness with the ones we love for no cost. How about creating a playlist of videos on YouTube for someone who might not know how to set it up? You could then give them the link and they could access it when they want. How about creating a webpage using Google Sites with a family member's favorite links? You could create a page for a parent or a child so that everything they like to access is one click away. You can show someone how to set up a Pandora station. Record a family member sharing a favorite memory or Christmas tradition and then save it to a DVD as a gift. There are many ways we could create a special gift with free tools and geek awesomeness. Our family has my grandfather singing "O Tannenbaum" recorded and it is a family treasure years later. If you want to buy your favorite geek teacher a gift, or buy something for yourself with a gift card after Christmas, here are some ideas. This has been one of my favorite items of 2013. I use them in my technology class as well as my 8th grade history class. It is little hard to describe, easier to understand if you watch this video. 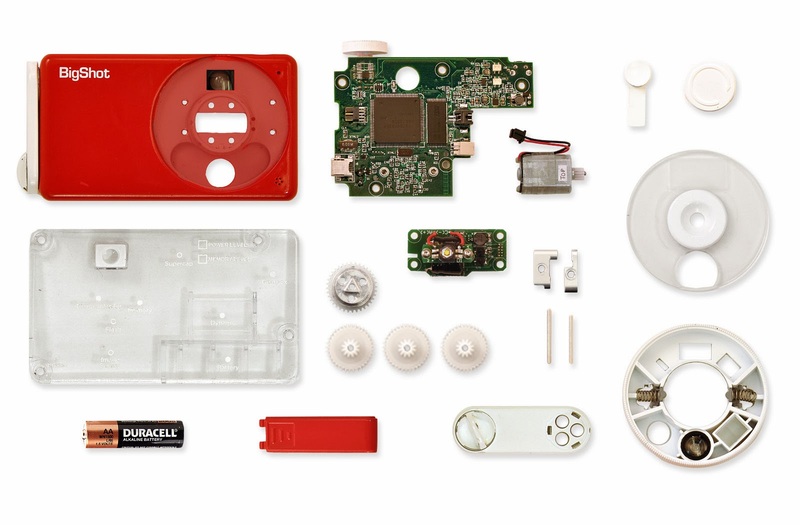 Each kit is around $50 but can be used over and over to help students create inventions and controllers for games. Works well if you are working with Scratch and can create your own games to be controlled by the MakeyMakey. Check out the MakeyMakey gallery for a ton of ideas. 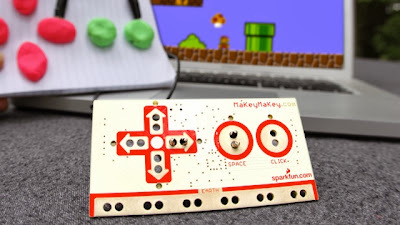 You can also check out this MakeyMakey TED video. 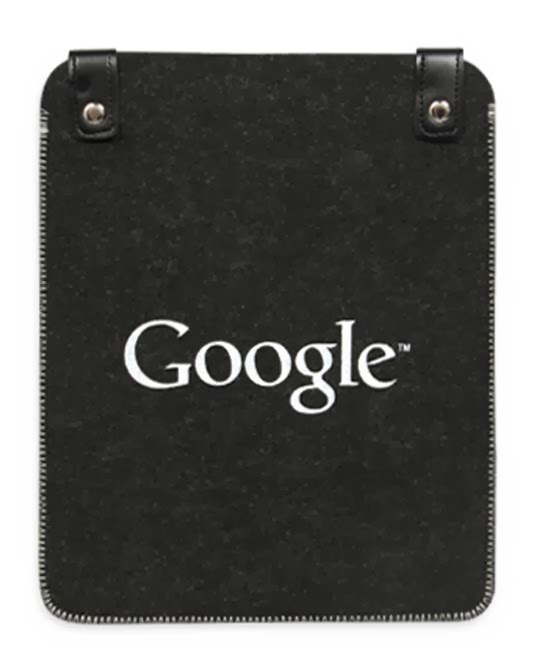 If you like Google there are a ton of gift ideas at the online Google Store. You can select shirts, office supplies, drinkware, etc. I have personally purchased the Google Water Bottle which I use everyday ($2.85), an infuser water bottle ($15.75) , a felt Google iPad sleeve ($3.85) and some Google Maze pens (80 cents each). There are items for your kids, your dog and anyone who wants something with Google on it. I bought this backpack about 18 months ago and it is one of my favorite purchases of all time. I LOVE this bag. 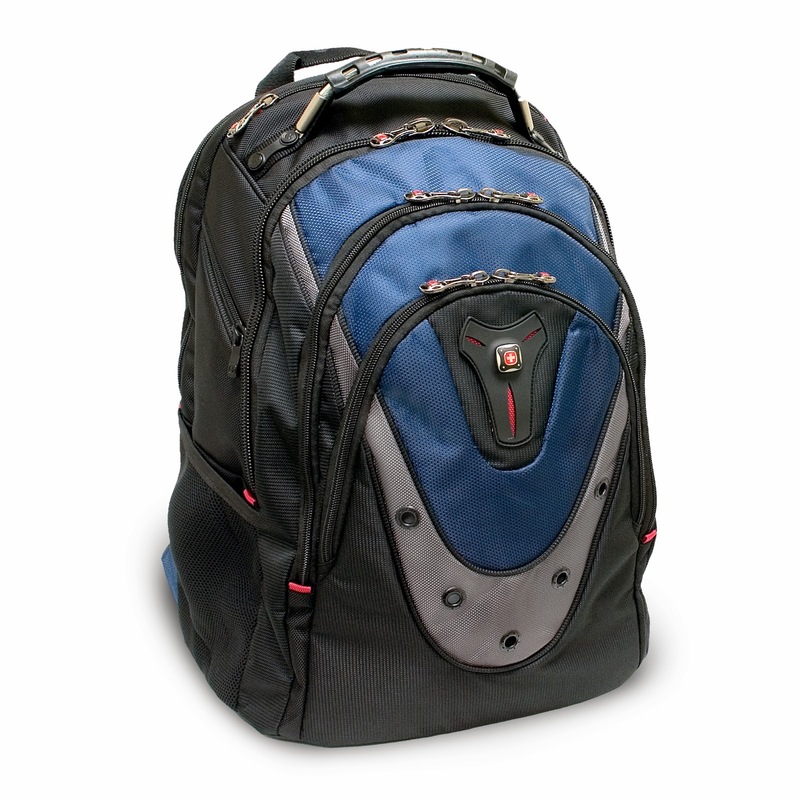 It is very durable and provides a ton of space. I use it as my everyday back and forth to school bag as well as the bag I use when I travel. I think it is probably indestructible and looks as great today as it did the day I bought it. Lots of cushioning for my laptop and other gadgets and comfortable for day long treks. It retails for around $90 but I have seen it online for around $65 from time to time on sale. 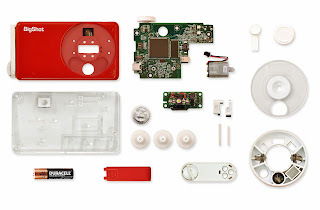 Another item relating to the maker movement - a digital camera you build yourself! The BigShot camera is a fully functional digital camera that you build. The image above shows the components that you are provided when purchase the kit. I recently purchased several of these cameras through a grant to build in my 8th grade technology class but have not yet built one myself. There are excellent tutorials online describing all of the science behind the different components of the camera. The camera costs around $99. I'm very excited about the potential of this camera and look forward to building one over the holiday break. Check out this TED talk describing the creation of the camera. This fall I attended a workshop at Kansas City's Union Station / Science City as part of the SparkFun Education Tour. The day was focused on working through several exercises building circuits with the SparkFun Inventors Kit using an Arduino board. The kit allows you to work through and build 15 different circuits including motors, sensors and an LCD display. No soldering is required and the kit includes a well designed guide with illustrations and descriptions. I enjoyed the workshop and since have built several curcuits with my 10 year old daughter. 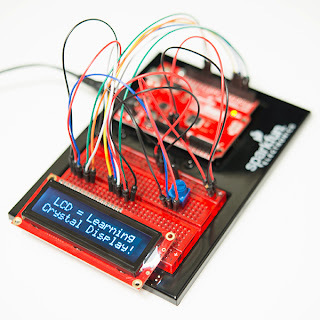 It is a great way to learn more about Arduino boards. The kit costs around $99. When I first saw Little Bits - via a Tweet - I instantly thought of our daughters. They are always building things out of legos, cardboard, etc. and I think this will be an excellent way to introduce children to circuits and electronics. You build circuits using components that snap together with magnets. The components have a variety of purposes - switches, lights, sensors, motors, etc. 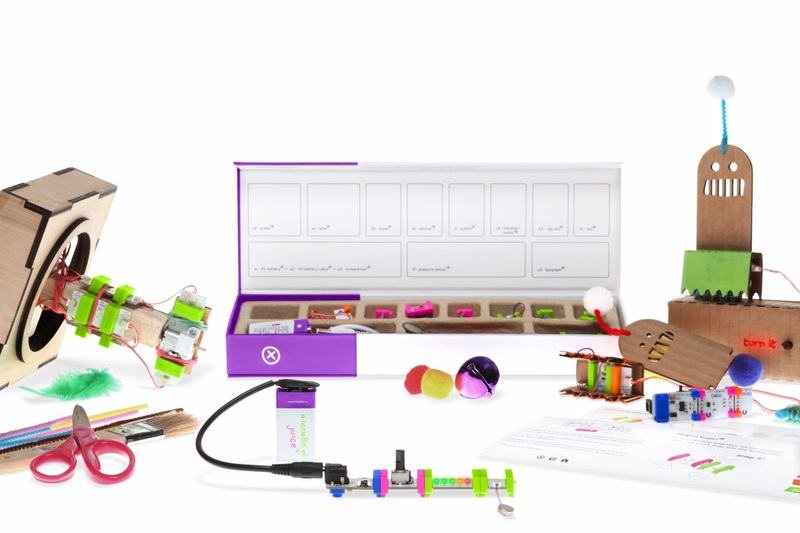 I think Little Bits have huge potential in this educational space and that is why one is sitting under our Christmas tree for our daughters. There are different types of sets available with different numbers of components ranging from $99, $149 and $199. 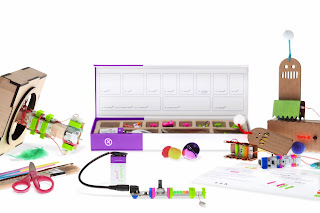 You can check out a TED talk about LittleBits here. I recently purchased a Raspberry Pi kit with a grant. In working with a Raspberry Pi it is important to house it in some type of case to protect the components. There are many types of creative cases. I love tech but I also love the feel and looks of antiques. 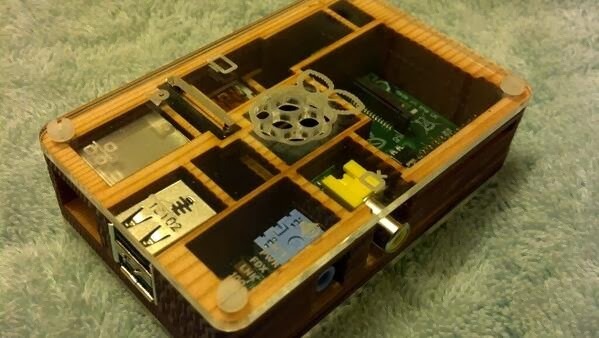 I found this Raspberry Pi kit made of wood from Pibow. This case runs about $20 and I think looks awesome. If you want a more modern case Pibow also makes cases made of neon plastic and other colors. Each week I send an e-mail out to the teachers in my building with some links that I found on Twitter that week that seemed interesting. 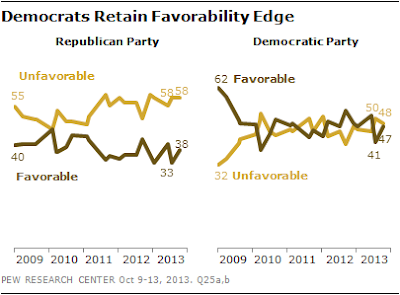 These are the links I shared on 10/31/13. 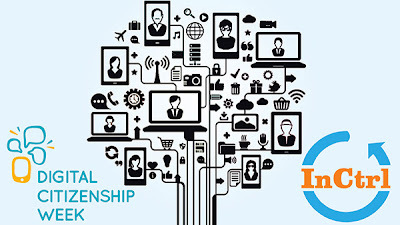 October is official "Connected Educator Month" and next week there is a focus on how we teach our students to be good digital citizens as we celebrate "Digital Citizenship Week" between October 21-25, 2013. I will be helping Cable in the Classroom moderate a FREE webinar with Cable in the Classroom's Frank Gallagher entitled "Empowering Students to be InCtrl in a Digital Age". The webinar will take place on Wednesday, October 23rd at 4:00 PM Eastern Time. Click here to register for this free event. 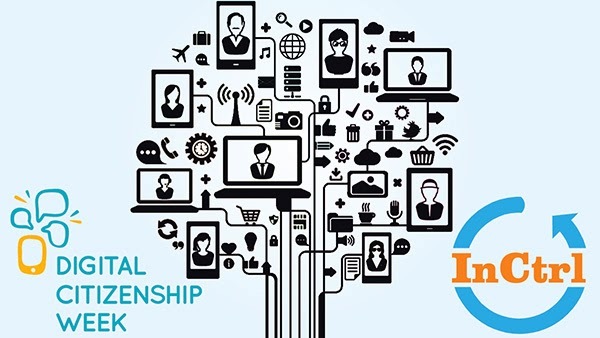 I recently wrote a guest blog post for Cable in the Classroom's blog entitled "Teaching Digital Citizenship Everyday" which you can read here. Please register for the webinar if you can make it. We would love to have as many perspectives as possible. If you are unable to participate live there will be an archive of the event available at a later date. This a copy of the weekly e-mail that I share with my peers. It is a way for me to pass along the great things that I see each week on social media. Last week was a little crazy with conferences so I didn’t send out my weekly Thursday “As Seen on Twitter This Week” e-mail. I added a few more links this week to make up for it. If you only read a couple I would recommend the first two links – social media impacting the writing of our students and why girls are not pursuing college computer degrees. 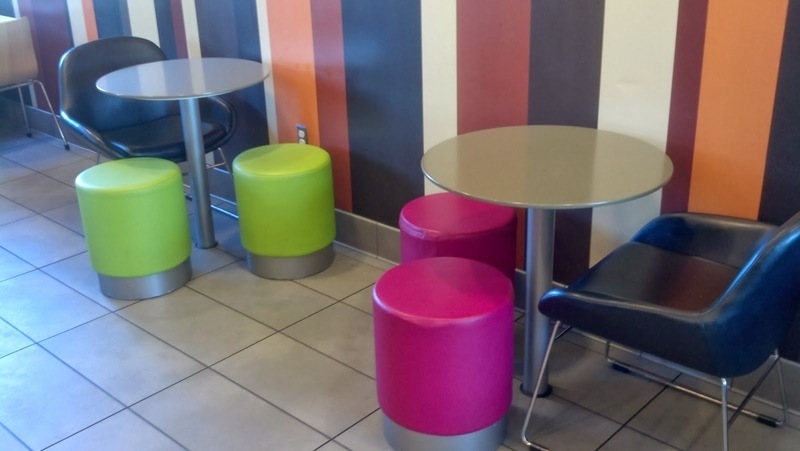 Does McDonald’s Have A Better Learning Space Than Your Classroom? - some great comments from Mr. Gardner himself on M.I. Almost three years ago - back in April 2010 - I did a podcast review of Robert M Edsel's book "The Monuments Men" and discussed some ways it could be used in the classroom. It is a great book about the true story of how Allied troops were able to save the artwork stolen by the Nazis in World War II before it was destroyed. I was so excited this week to happen upon the trailer for the upcoming movie based on the book. It will be out in December 2013 and has enough star power to ensure that it will be a box office hit for the holidays. Check out the trailer below. Anyone else read this book? What are your thoughts? Please leave a comment on this blog post. Thanks. 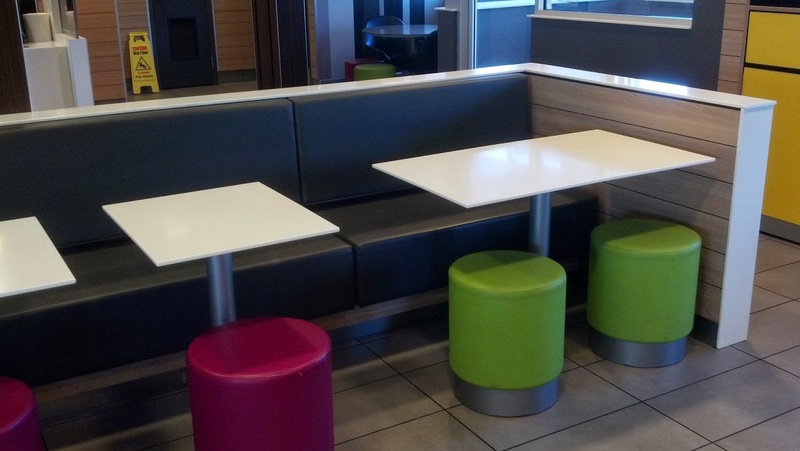 Does McDonald's Have A Better Learning Space Than Your Classroom? As I write my dissertation I often seek out places to write which are free of distraction. If I try to write or read at home or in my classroom there are usually things that keep me from working on the task at hand. I don't need much - a place to sit, ample table room to spread out some items, free wifi and a power outlet. Public libraries are great and I like coffee shops - Caribou Coffee is probably my favorite. Sometimes I buy a drink or get a snack. There is a McDonald's close to my house and over the past couple of months I have frequented it to work several times. Last week as I stopped in after school to work and sat down I noticed just how many people were in the same place using the wifi. Everyone there was using a device on the wifi - cell phones, tablets and laptops. This perhaps isn't surprising but then I also noticed the design of the space itself. It was inviting, pleasant, comfortable. This McDonald's is a great, do I dare say it - a great learning space. 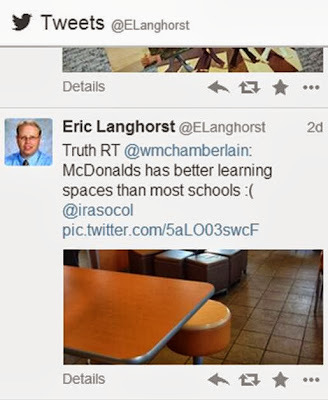 Then two days ago my friend William Chamberlain @wmchamberlain tweeted a picture of a McDonald's with the following text "McDonalds has better learning spaces than most schools :(" and included Ira Socol @irasocol I retweeded it and added "Truth". 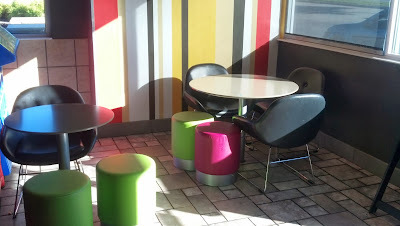 Tonight when I finished working on my paper I took some pictures of the McDonald's. They really did a great job of creating a learning space. I won't mind having some of this furniture in my classroom. Our district has been having lots of discussions about learning spaces and where students learn in our schools. We need to be more efficient and are discussing creating learning environments in space which it underutilized right now - including commons areas and hallways. I have also been thinking about my own classroom. Right now I have 31 classic student desks in my room but would like to eventually move to tables, movable chairs, etc. Ira Socol added some additional tweets about how teachers can change their learning spaces and included some videos of learning spaces which are better than McDonald's. There are solutions and we need so start having more discussions about making our classrooms open, inviting spaces for our students to learn instead of a factory. So, what does your learning space look like? What can we do to make our learning spaces better learning spaced? Do you have a classroom redesign story to tell? Please add your comments to this blog post. We would love to hear your thoughts and create some solutions. Thanks. Want some great graphs and visuals for a prompt about the government shut down? 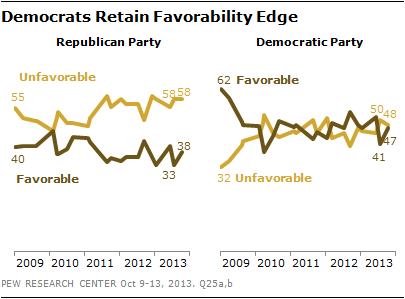 Check out the graphs included in this Pew Research Center report (@pewresearch on Twitter). I first saw this in a tweet shared by Will Richardson @willrich45 today. Wow! A lot to think about here. How would you use this in class? Please leave a comment on this post and share. Thanks. Today I want to share an activity I use during our American Revolutionary War unit. The story of how Washington used spies to gather information on the British is often underestimated. Gathering intelligence was of critical importance to both sides in their efforts to win the war. The science and art of communicating as a spy is a fascinating part of the war and one that students generally enjoy learning about in our Revolutionary War unit. Here is a screencast I created to accompany the activity on Revolutionary War spies. In the past I have used "George Washington Spymaster: How the Americans Outspied the British and Won the Revolutionary War" by Thomas B. Allen as a selection for my History Geeks book club with students. It is an engaging read with lots of great stories and a code hidden within the book itself. A great book for junior high students wanting to learning about Washington's use of spies. If you want a more detailed book on spies in the Revolutionary War check out "Invisible Ink: Spycraft of the American Revolution" by John A. Nagy. Great detail and more description about the techniques used by both sides in the war. Mr. Nagy was featured in a C-SPAN author presentation recorded in New York in 2010 (52 minutes) that you can watch online here. Do you do an activity in your classroom on spies in the American Revolutionary War? Please let us know by leaving a comment on this blog post. I am a big fan of using Twitter to find resources, ask questions of peers and in general just learn about amazing things. I find myself often saying "I saw this great link on Twitter last night...." and have found that peers are generally more willing to tip their toe in the Twitter stream if they see value in creating a PLN. Several weeks ago I decided that I would look through the tweets which I have favorited in the past week and share some of them with my fellow teachers here at Discovery Middle School. In my first e-mail I told everyone that the items shared in my e-mail would not always be something that I support or agree with 100% but might be something interesting or a great discussion started. I also told everyone to let me know if they liked it or thought it was annoying. I am now three weeks into the experiment I have had several fellow teachers tell me they enjoy the links and so far no one has told me it is annoying. I have also found that doing this also forces me to go back over my favorites from the past week and there is always something that I had planned on checking out later but forgot. I will start sharing the texts of the e-mails that I send out each week to share with others beyond Discovery Middle School. Week 3 of "As seen this week on Twitter... October 3, 2013"
Here is this week’s collection of items that I saw on Twitter which I thought were interesting. The Horizon Report is a huge study that comes out each year and discusses what trends are predicted in education for the next five years. If you are a fan of the band “Journey” check out the online documentary on the new singer. When Journey needed a new lead singer they found him - on YouTube on the other side of the world. It is an amazing story but will only be available online through October 7th and then it will be shown on the PBS show Independent Lens. I love Google. 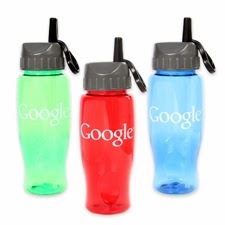 I use a Google water bottle each day. I have Google shirts. I present Google tools to teachers on a regular basis. I am a Google Certified Teacher who loved every minute of the Google Teacher Academy I attended at Mountain View in December of 2012. The other day my 5 year old daughter asked if I worked at “the Google”. But Google made a change recently that makes me sad. I teach social studies and have found Google Maps to be a powerful tool in helping students appreciate the geography of the world around them. 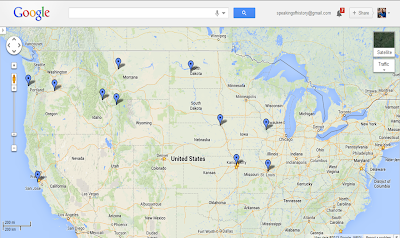 I have had students create custom Google Maps of the locations we study in American history. It has been my experience that when students create a custom map they do significantly better on assessments later. Google Maps has some powerful features including the ability to collaborate and even share a map. 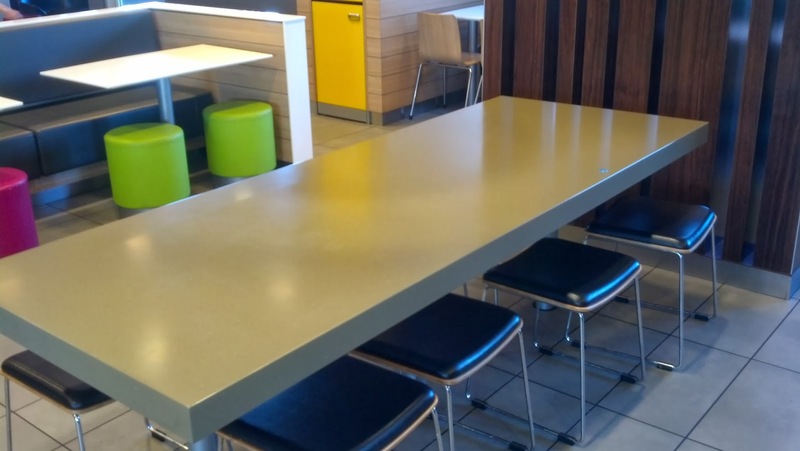 It is almost as if it were built to be used in a classroom environment. One of the features I enjoyed the most in the past was the ability to add dynamic content to a location - a picture, more text, a link - even embed a video! It was a great way for my students to add something meaningful to that pushpin. My 8th grade American history students this year are creating their own progressive Google Map as we move through the school year. 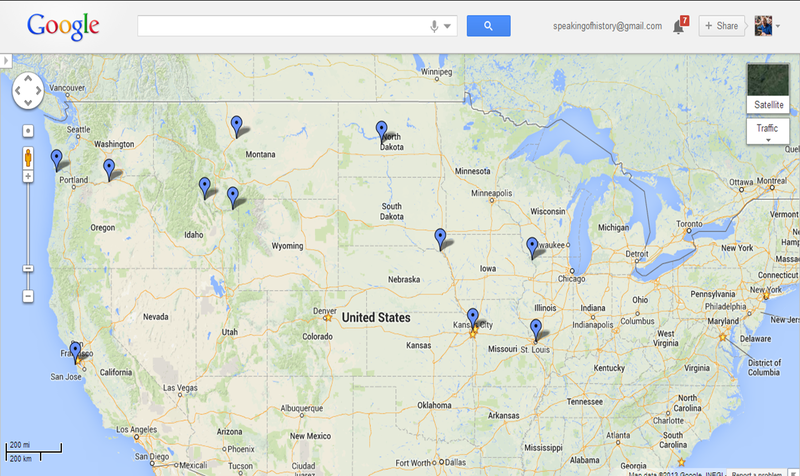 Each unit the students will be adding locations significant to our current unit. At the end of the year they will have their own custom map of the historically significant locations we studied. It will be their map and will have a life beyond the end of the school year if they wish to add locations or even add places that they visit personally. That being said, I have not welcomed the new version of Google Maps with open arms yet. The ability to add as much dynamic content to locations is gone. The layers are not as intuitive as they were in classic maps and my students had a little more difficulty finding their way around the user interface. To me it seems as if the new Google Maps is a little prettier, a little more flashy but missing some of the functionality. It still possible to “opt out” of the new version by selecting “classic maps” and then choosing to edit in “classic mode” but it is hidden pretty well and anything labeled “classic” doesn't usually have a long shelf life. I hope that Google describes to incorporate some of my favorite features from the classic version and adds them to the new Google Map Engine Lite. Anyone else have any feelings on the new Google Maps? One of the topics that I find interesting, and I think many actually find interesting but don't really talk a ton about, is work flow. I find I have so many tools and apps at my disposal but the real question is which one will work best for how I work. There needs to be an added value to any tool that I decide to adopt. Some may give me increased efficiency and some may give me additional features like making it easier to find in a search. When I am in a workshop, taking notes at a lecture or jotting down ideas I often find myself more comfortable using a pen and paper rather than an I-pad or my laptop. I have always had a soft spot for a notebook or a journal. I find it easy to carry a Moleskine cashier notebook , a Field Notes memo book , or a PaperBlanks journal because they fit in my pocket and yet provide enough space to write. For me the notebook is a little faster than starting up a device and typing away. I can also add little drawings and sketches on the pages of my notebook with ease. As a history teacher I often want to take notes at a presentation or out in the field. Last summer I spent an amazing week at Monticello working with their education staff on new resources for teachers and in addition to listening to speakers we also did work on grounds of Monticello and took field trips to locations like James Madison's Montpelier. It was much easier for me to take out my little notebook and capture an idea or note. Of course as a tech loving history geek I also realize the limitations of not using technology to keep my notes and having a digital record. The most important drawback being the risk of losing my notebook and thus all the information. So recently I have started to combine my desire to keep handwritten notes and the advantages of having a digital copy. My personal workflow solution is using the SCAN feature in Google Drive to create a digital copy. At the end of a day writing notes in my Moleskine, I take out my phone (or I-Pad) and open Google Drive. I select the “+" feature to add an item and then “SCAN”. I than take a picture of my notebook page. I can select to scan it in color or black and white. I can also crop the scan to just include certain parts of the picture. It is then uploaded to my Drive where I can add it to a specific folder and give it a title to make it easy to tag and search. An nice additional benefit of scanning a document into Drive is Google's Optical Character Recognition feature. This is especially helpful when scanning any document that is typed - for example a receipt. This makes all the text of the scanned item - not just the title - available for search. You can also select to scan it in color or black / white and choose the crop option to select exactly what you want in your final scan. Scan to Google Drive has become a major part of my daily workflow and allows me to have the benefits of living a digital life while still using my trusty little field notebook. Last week I was in Washington DC for the Mission Possible workshop conducted by Model Classroom and the Pearson Foundation. It was a thought provoking and emotional experience, including a day at the Vietnam Veterans Memorial listening to veterans share their stories. I don’t have a family connection to a name on The Wall but in the past have visited with others who do have a family member honored. As we were preparing to visit The Wall last week, one of the teachers in our group mentioned that her first cousin's name is listed. Leann shared an emotional story about her personal connection to her cousin. She also mentioned that he is buried in Torrington, Wyoming. This created a connection for me since my wife’s family is from Torrington and in fact I was flying back after the workshop to Torrington to rejoin my family who is currently visiting family. 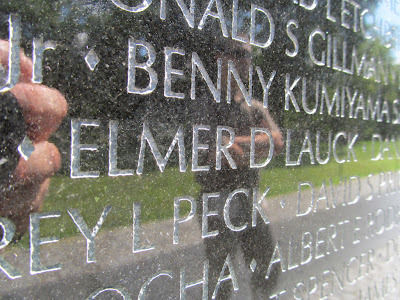 I asked Leann about her cousin and she had already located his name on The Wall using the app from the Vietnam Veterans Memorial Fund. 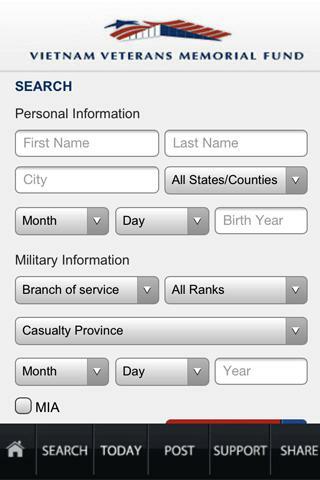 The app allows you to search for names on the wall by name, hometown, state, etc. Her cousin’s name is Elmer D Lauck. 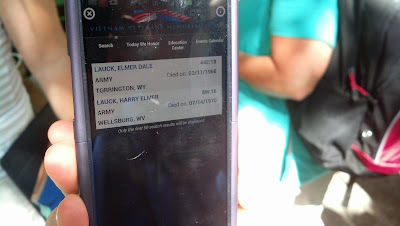 I took a picture of her screen showing the location of his name and later on our tour I took a picture of his name on The Wall. After the conference I met my family in Torrington and today I decided to find Mr. Lauck’s grave in the Torrington cemetery. I entered the cemetery and found the directory showing the location of the marker. I drove up to the military portion of the cemetery and quickly located the grave of Mr. Lauck. His white marble military marker is located on top of a hill overlooking beautiful Wyoming pastures and in the shade of a large Cottonwood tree. I placed a red carnation and a small American flag at the grove and paused for a few minutes before taking a few pictures. Last week at the Mission Possible workshop we focused on the importance of stories. As I mentioned in an earlier blog post, the names on The Wall are just names if not attached to a story. Last week I touched his name on The Wall and today - over 1,600 miles away - I knelt by his grave and thanked him for his service to our country. These pictures are for Leann and her family. Today as I visited it was peaceful. There was a light breeze and in the shade of the Cottonwood the only sound was a slight rustling of leaves from above. Let them know that he is remembered and honored. Note : This week I am participating in the Mission Possible Teacher Workshop in Washington D.C. The week is hosted by Model Classroom and Pearson. The focus for the week is project based learning centered around learning opportunities in Washington D.C. Projects will take place at NPR, the Vietnam Veterans Memorial Fund and the United States Holocaust Museum. Today our workshop spent the day at the United States Holocaust Museum. we have discussed some pretty emotional topics already this week - race in American society and the Vietnam War - and today would be emotional as well. My last visit to the Holocaust Museum was nearly 15 years ago when I brought a group of high school students to DC. I remembered my previous experiences and knew that the museum would make me once again consider terrible and unspeakable acts of human behavior. He said that we were not allowed to take pictures in the museum but he did encourage us to tweet as we walked through the exhibits and hoped we would use the hashtag #ushmm. It was refreshing to have a museum openly encourage you to use social media while visiting their exhibits. Jesse later commented how much he enjoyed "following" our tweets as we took our tour and learned a lot about both what we as teachers found interesting, questions we had along the way and ideas for future lessons in our classrooms.Our theme all week has been stories. On Monday we explored the art of interviewing and asking others to share their stories with you. Tuesday we learned about the Vietnam War and memorial by listening to the stories of veterans who experienced the war first hand. Today we were learning about the holocaust through the stories of the victims, the liberators and the bystanders. The first image we saw as we started our tour was a photo taken at one of the concentration camps as it was being liberated. It showed a group of burnt human remains with US soldiers staying in the background shortly after liberating the camp. It included a quote by Eisenhower and it really set the tone for the next two hours. As I looked at that photo I asked myself how different this museum would be without photos. What if the Holocaust had occurred in a time without any photographic evidence? Would the story be the same with only text and sketches? Would it have the same impact? I could not help but think about the particular role that photos have in telling this story. As I thought about more later, I think that part of the reason this story needs photographs is the sheer fact that some of these acts were so terrible it is hard to believe without any type of photographic evidence. As I walked through the exhibits this time I also noticed that the some of the stories were even harder for me to read and hear, the stories of the children. Fifteen years ago I was unmarried and had no children. Today I walked through the museum and learned of these very personal stories through the lens of a husband and father. What would happen if I was separated from my wife? How could I have protected my children? A theme for the day was compliant. Would we have made choices - sometimes risking a career, money or family - to save someone who was being subjected to a terrible fate? The day was powerful and gave me a lot to think about, especially the importance of using visual resources whenever we can in telling stories. Day two of the workshop featured a different venue but a similar thread from yesterday - the power of story. Yesterday we visited NPR and learned about the skills of interviewing. Today we visit the Vietnam Veterans Memorial on the National Mall in Washington. Here the power of story will make a monument to the struggle of war speak. I have visited the wall on previous visits to DC. My first visit to the wall was as a high school student on vacation with my family. I remember it was an emotional experience for my dad who was drafted to fight in the war but did not pass the pass the physical due to an injury. He felt the guilt of not participating in a conflict which took the lives of so many of his peers. Almost 20 years ago I brought high school juniors to DC and we always made a point to visit the wall. 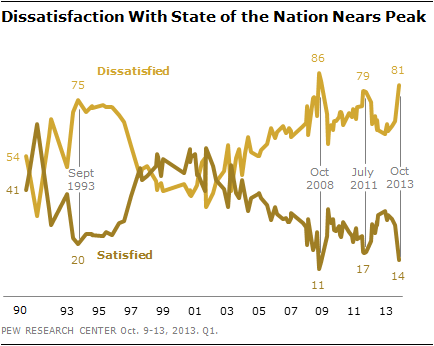 The design of the monument is simple, almost demanding that emotion take center stage. Prior to visiting the wall we were organized into small groups and assigned a Vietnam veteran who would speak with us and give us a tour at the wall. My group was matched with Jerry Martin, a Marine who was awarded a Purple Heart and a Silver Star. Mr. Martin spoke of his comrades and friends that he knew in Vietnam and now are names on the wall. After spending an hour with Mr. , who is a retired history teacher, I felt that I knew much more about the Vietnam War than I had ever experienced through a textbook. The difference was the stories. The stories behind the names. Our various groups did some activities after our time with the veterans and one group asked people at the wall if they had any emotions in visiting the wall. To everyone’s surprise, almost every person asked said they didn't have any emotions about visiting the wall. For many people it appeared that visiting the wall was a just something to check off a list of things to do when visiting DC. But here is the key - none of the people who said they really didn't have an emotional connection to visiting the wall had had a tour guide. The difference again was the stories. Without the stories the wall is just a list of names. But as I reflect back on the experience at the wall today there is a bright hope for the future. The Vietnam Veterans Memorial is currently in the planning and fundraising stages of a future education center. This educational center will be a facility located next to the wall. A place where people can go to build a connection to those names, through stories and experiences. I can’t wait to come back in the future when more people walk away from the wall with a similar experience to the one I experienced today. 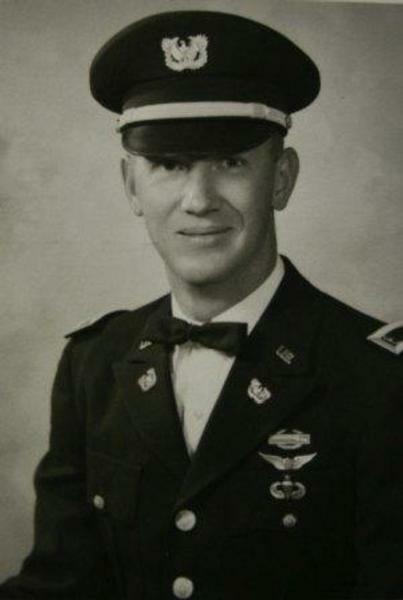 It was an emotional day and one that I will think of in the future every time I discuss the Vietnam War with students. I also wanted to share an app that also helped me today as we visited the wall. If you want to locate the name of a soldier on the wall there have always been books available in which you can look up the soldier via their last name. The book then tells you the panel and line on which you can find that name. But what if you don’t know the name of a soldier and instead want to see if anyone from your hometown is located on the wall? I used an app from the Vietnam Veterans Memorial Fund which allowed me to search not only by name but also by state and/or city. This app allowed me to quickly identify the five soldiers from my home community of Liberty, Missouri who are listed on the wall. A great example of how an app can provide real time information as you visit a location and how it can enhance your experience. Check out the app on the Google Play Store.